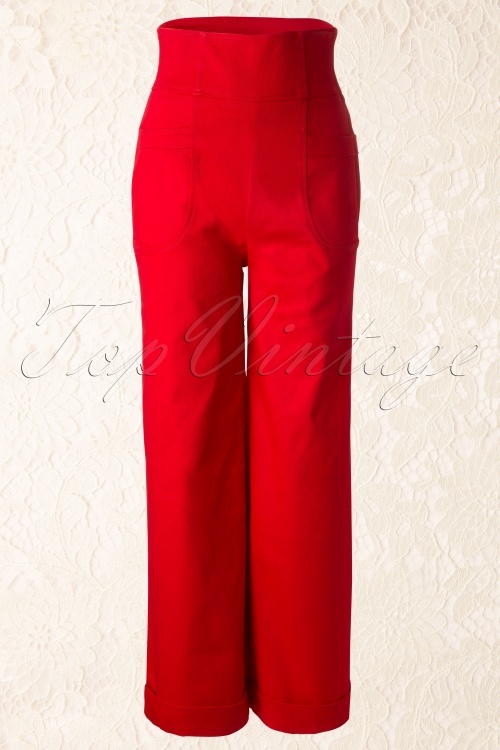 A Classic from the Collectif Collection: 40s Franky Swing trousers red. Where ever you go: you’ll be looking stylish in these 40s inspired trousers. Just like the bold women in those days! 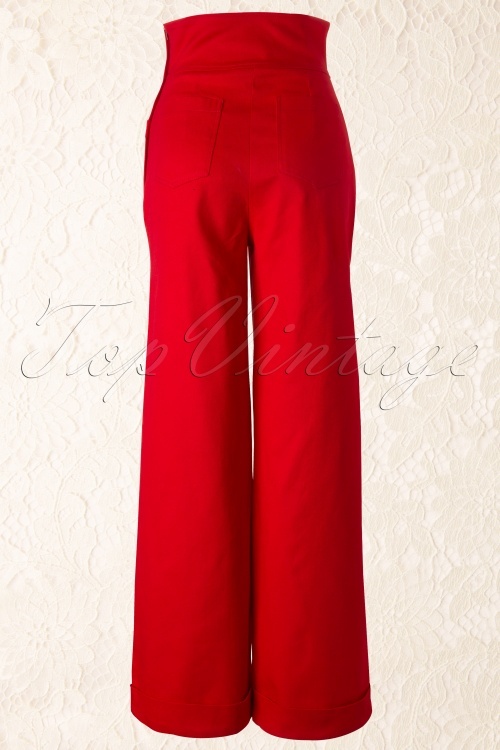 The high waist forms a beautiful contrast with the wide leg and is very flattering if you have full hips/bottom. It has a foldover, which can easily be made shorter / longer. 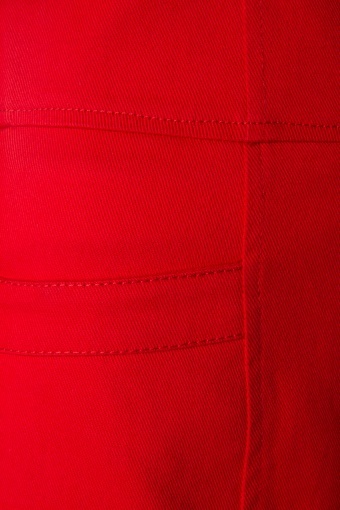 The model on the picture is about 1.70m Made of a firm cotton with stretch, side zipper.